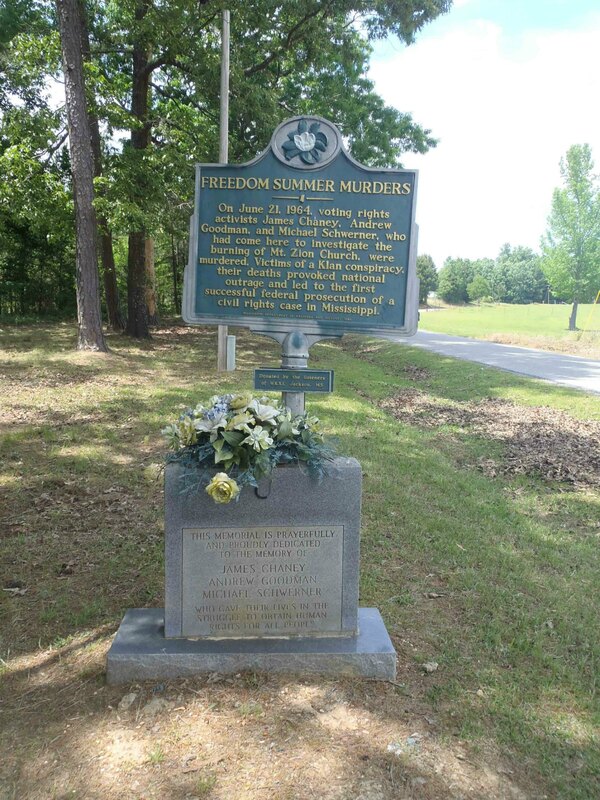 The Mississippi Department of Archives & History marker for Freedom Summer Murders is located outside the Mt. Zion United Methodist Church on County Road 747 in Neshoba County, Mississippi. 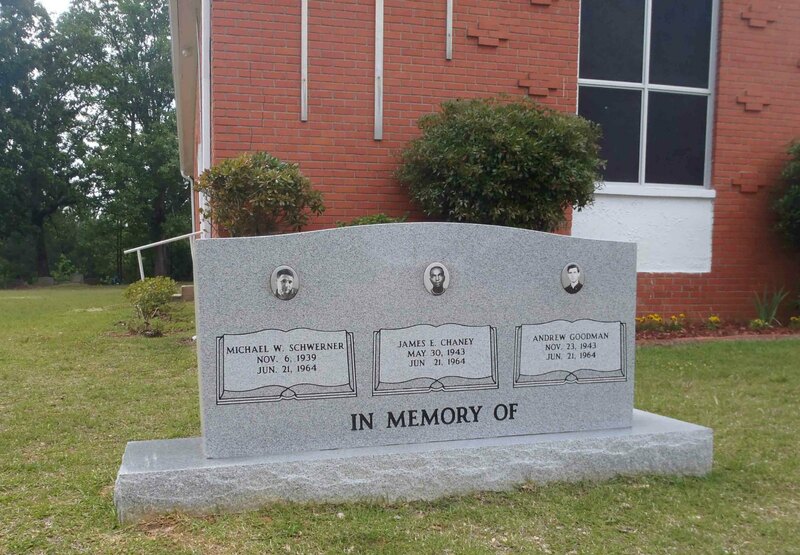 This marker is about a major event in Civil Rights history. Here is an American Experience documentary about the events of 1964 in Neshoba County, Mississippi. Here are some photos of the present Mt. 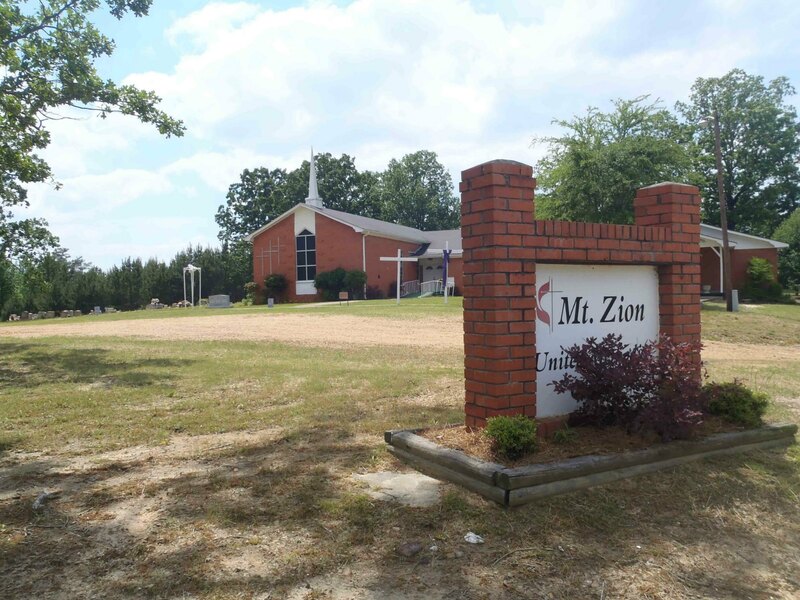 Zion United Methodist Church which replaced the one that was burned down in the summer of 1964. 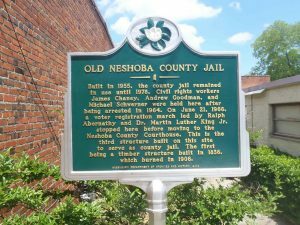 Mississippi Department of Archives & History marker for Old Neshoba County Jail, Philadelphia, Neshoba County, Mississippi.